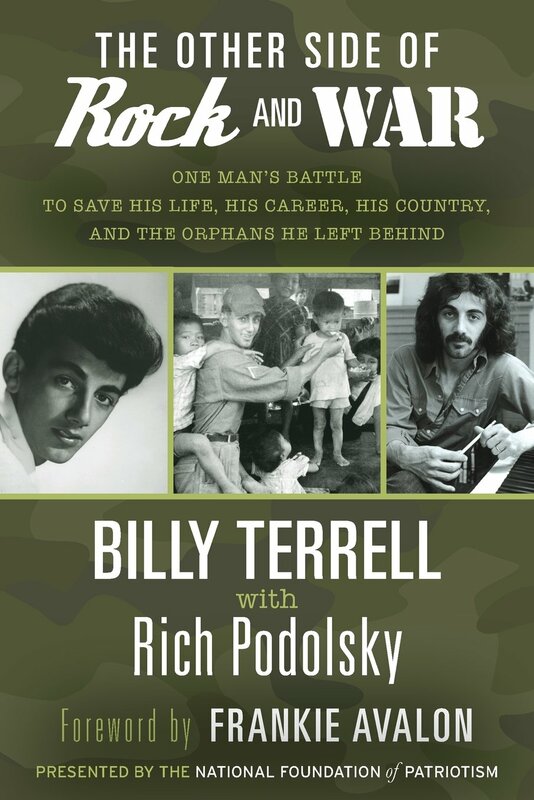 As the reader begins to be drawn into Billy Terrell’s The Other Side of Rock and War: One Man’s Battle to Save His Life, His Career, His Country, and the Orphans He Left Behind (National Foundation of Patriotism, 234 pp., $18.95, paper; $9.99, Kindle) it feels as if the book is simply a transcription of a long stream-of-consciousness interview with co-author Rich Podolsky. There are repeated references to the same occurrence, the same people, and the same author’s reaction—often within the same few paragraphs. On the positive side, we get to accompany Terrell through a hardscrabble upbringing in and around Philadelphia and Newark and Asbury Park, New Jersey. He introduces us to a decidedly and interestingly dysfunctional group of family members, as well to a less than optimal childhood. He also nominally covers his family’s entry into this country and their progression to the time frame of the story. Born William Torsiello, Billy Terrell shares with us his early sense of isolation from friendships, in and outside his family, and his turn to music and comedy as a means to counter those feelings. His developing music career was cut short by an invitation from his local draft board during the Vietnam War. Torsiello wound up in Vietnam in Tuy Hoa, near Phan Rang, as a member of an Army Quartermaster Unit. A few chapters take us through his deployment. He also tells of his involvement with local orphanage, working with other GIs working to assuage some of the misfortunes that befell civilians in the Vietnam War. On his return to the States, William Torsiello became Billy Terrell, a man who went through a long roller coaster of successes and failure in the music business. His up-and-down life also was punctuated with alcohol abuse, failed marriages, and health challenges. Throughout the book, Terrell describes interactions with greats and near-greats in the popular music and stand-up comedy scenes from the fifties to the eighties. Terrell has a remarkable discography. He wrote, sang, and produced much music from 1965-2017, and later worked as a successful stand-up comedian. At the end of the book Terrell takes us with him on a 2013 visit back to the Mang Lang Orphanage at Tuy Hoa, and notes the closure it brought for him as he provided funds to help assure the institution’s future. Billy Terrell’s story is at once one of self-promotion and of measurable success—a good outcome from bad circumstances. One of the most emotional passages in former Sen. John Kerry’s memoir, Every Day is Extra (Simon & Schuster, 640 pp., $35, hardcover; $16.99, Kindle), comes when he recounts the attacks on his record as a Swift Boat commander in Vietnam during the 2004 presidential campaign. Not so much because it was an attack on him personally, but because “Swift Boating” has since become a term that political campaigns use as shorthand to describe the tactic of using smears and lies to attack a candidate’s character. It is “horrific,” he writes, because it dishonors all those whose fought and died on South Vietnam’s rivers, casting their sacrifices as a lie. Kerry faults himself for following the advice of his own campaign advisers to ignore the attacks as trivial and not to fight back forcefully. The irony is that the admiral who organized the campaign had written a glowing commendation for Kerry and his crew in 1969. Kerry—who went on to become Secretary of State—acknowledges that many veterans hated the antiwar movement of which he became a part. “No parades, no thank you for their service.” What brought together Vietnam Veterans Against the War was that feeling of alienation. “I understand that undercurrent of resentment,” he writes, which in turn was also directed at veterans who opposed and demonstrated against the war. Kerry’s statement about understanding such resentment characterizes much of the book’s tone. He is reflective, analytic, and measured. Indeed, many of his emotions seem understated. Nonetheless, Kerry had misgivings about leaving his medals on steps where politicians walked. He proposed instead that the medals be placed solemnly on a table covered by a white tablecloth and then be collected and returned to the Pentagon. Other VVAW leaders outvoted him. Many veterans at VVAW meetings had what is today commonly called PTSD and were “seriously messed up.” Some were in wheelchairs, missing eyes or limbs, or self-medicating. Before VVAW became a force against the war—which occurred “without any singular moment of decision, without debate”—it sponsored Vietnam veteran support groups. Kerry’s activism turned to electoral politics, with the memoir describing his rise to leadership in the Senate and as Secretary of State. 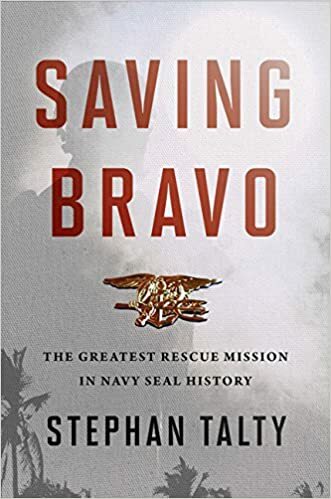 It includes his work with the late Sen. John McCain on the Senate Select Committee on POW/MIA Affairs and its exhaustive search tracking down every rumor about live POWs who had been left behind. The senators even conducted a surreal inspection underneath Ho Chi Minh’s tomb in Hanoi—“walking around a mass of tubes, compressors and pumps” and opening doors to make sure there were no hidden tunnels or cells. At almost 600 pages of text, one wishes that an editor had trimmed the memoir more thoroughly. The first two chapters, “Childhood” and “Bright College Years,” recounting his lineage and his life and travels in Europe as the son of a Foreign Service office might be particular candidates, if only because they reinforce Kerry’s image of elitism, which occasionally dogged him in public life. For all its length, the memoir is still worth reading. Chapters can be skipped or skimmed in order to focus on more engaging ones, such as the description of in-county Swift Boat operations. The title Every Day is Extra is compelling and appropriate. It represents an attitude about life that “summarizes how a bunch of guys I served with in Vietnam felt about coming home alive.” It also honors those who did not—with a promise not to waste the gift of a single day in making a difference. “There are worse things than losing an argument or even an election,” Kerry writes. The Vietnam War shaped John Kerry’s view of the world and his mission in life. It is reflected on every page of the book.